Mumbai, INDIA -- The Indian film industry is set to dish out a movie on the life of Gautama Buddha. Based on the book "Old Path, White Clouds" by Vietnamese Buddhist monk Thich Nhat Hanh, the movie is likely to be the most expensive ever made in Bollywood thus far. The film "Buddha", helmed by award-winning filmmaker Ashutosh Gowariker, will recreate the period when Prince Siddhartha began his journey of enlightenment and it will be shot in the Himalayas. "This is the story that unfolded 2,500 years ago. A time in ancient India when you had slavery, you had cruelty... To re-create that is an expensive proposition," said Gowariker. Millions of tourists visit India every year to learn about Buddhism. Most feel the teachings of Buddha are truly global and still hold significance today. Tsering, a pilgrim from South Korea, said: "In today's world, Buddhism is very essential because of terrorism, competitiveness and environmental problems. Buddhism teaches self-satisfaction and self-contentment." The government of India is promoting Buddhist Tourism to showcase places visited by Lord Buddha. Now with a movie on his life, the director hopes more people would be interested in finding out about his philosophy. 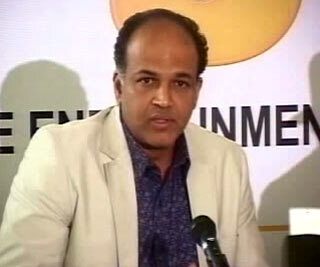 Gowariker said: "I think the scope of Buddha is global. There are so many countries that are deeply interested in learning about Buddhism, learning about what Buddha was all about." The film will cost nearly US$42 million – the most expensive ever for Bollywood. Gowariker's earlier movies, too, have set records in terms of budget. His debut directorial venture, "Lagaan", which was nominated for an academy award in 2001, was made at nearly US$5 million. Another of his film, "Jodha Akbar", based on the life of Mughal Emperor Akbar, was also the most expensive movie made last year.